When your body experiences an illness, you probably would not let it function by thinking it will just fix itself. In most cases, this approach doesn’t work. So what do you do? You go to someone who can fix you, like the doctor. They prescribe medication to make sure that your body starts functioning normally again. They prescribe ways to maintain your health so as to not fall ill again. Similarly, when your Air Conditioner or Heat Pump breaks down, it might be time to call an expert in Air conditioning system repair. It is their job to know what is wrong with an AC or heat pump, and fix it. Are you still thinking that it will fix itself? Well, read on to know why the appliance will not magically start functioning again. An Air Conditioner has the function of cooling the room it is installed in. A Heat Pump, on the other hand, cools as well as heats the space it is in. Both these appliances have their pros and cons. What they do have in common is that both will eventually break down. You can’t live in the Silver Spring summer with a broken AC or Heat pump. For normal functioning in day to day live, you need someone who can perform Heat pump repair Bethesda. This is essential so that productivity is not lost just because the environment was conducive. Also if you were planning spending the weekend spring-cleaning the house, can you do it without your Air conditioner? Probably not. Heat Pump Installation Rockville is easily available due to the wide spread use of this technology. Heat pumps are much more efficient because there is this one device that does both the functions, heating and cooling. If you have only been using an Air conditioner all these years, you might want to think about switching your old Air conditioner for a new one or for a heat pump. Maybe you need a new fan inside the Air conditioner, or a part needs to be replaced. Without getting someone to check it out, you won’t know what needs to be fixed. This might lead to the appliance functioning at less than its full capacity. Use appliances that are energy start certified. Energy efficient appliances can save you a ton of money on your utility bills. But if you have owned an appliance for ten years, how ill you know when it is time to move on? Well, you will know when you get regular servicing done and your repairman advices that it is time to upgrade. Did you know appliances that use green technology, show that they are environmentally conscious and save energy are eligible for tax rebates? So the next time you call in someone for Air Conditioning Installation Rockville, be sure to ask him or her about this and get his or her input. So the next time you’re debating whether to spend money on repairs or not, you know what to do. The author is an experienced content writer and publisher on the topics related to Air Company Heating Service and Furnace Repair Bethesda. 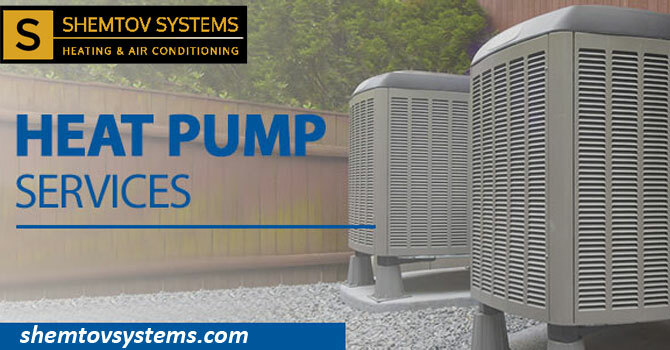 Why Do You Need A Repair Company For Your Heat Pump & AC https://shemtovsystems.com/2018/12/27/need-repair-company-heat-pump-ac/ 4.0/5 based upon 11 reviews.